Legacy paravirtualization (PV) instance types are no longer supported. Please see the "Apache Solr" page at https://aws.amazon.com/marketplace/pp/B00NNZTH5I for the current supported version. Built on Apache Lucene and optimized to get up and running quickly with data-driven schemaless mode. Features include full-text search, hit highlighting, faceted search, database integration, rich document handling, and geospatial search. Built-in Apache Zookeeper handles horizontal scaling and load balancing, fault tolerance, and replication out-of-the-box. Responsive administrative interface can be used to manage all servers from any device. 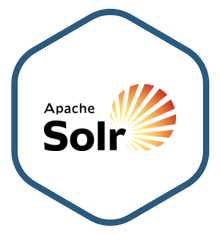 Written in Java, Solr has clients for almost any programming language. It is highly customizable, with multiple extension points built in for advanced plugins and well-documented APIs.